According to the World Health Organisation 80% of the population in some Asian and African countries, depend on traditional medicine for primary health care. While in many developed countries, 70% to 80% of the population has used some form of alternative or complementary medicine. 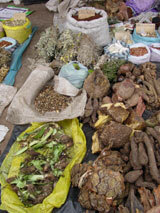 Herbal treatments are the most popular form of traditional medicine, and are highly lucrative in the international marketplace.